We have enjoyed brief moments with Mako over the years and have enjoyed promoting—more than enjoyed, we have felt called, obliged— his earliest published work. There is an early great chapter in the essential anthology of Christians in the arts, It Was Good: Making Art to the Glory of God edited by Ned Bustard (Square Halo; $24.99) and a fabulous interview with him in James Romaine’s excellent tete a tete with visual artists, gloriously produced in full-color in Objects of Grace: Conversations on Creativity & Faith (Square Halo; $19.99.) 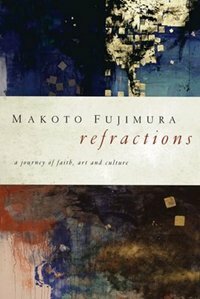 Mr. Fujimura’s artwork itself has graced more than one book cover, and he has been often discussed as a contemporary leader in cultural conversations. He is not the only reason to buy these two great books, but that he is in them is important. Fujimura has also released a small hardback volume of high quality reproductions of his stunning, reflective artwork, River Grace (self-published; $29.95) which we have stocked since it was first released through IAM. His MFA is from Tokyo National University of Fine Arts and Music and is a National Scholar in Nihonga—his art style. 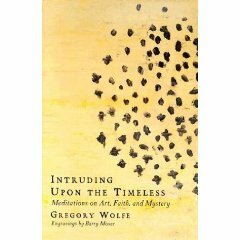 His work (highly regarded in Japan and his New York home), is shown in It Was Good, Objects of Grace, and River Grace; in Grace…he chronicles in allusive beauty and an amazing essay, his “transfer of alliance from Art to Christ.” In 2003 he was appointed to the National Endowment for the Arts (then headed by Dana Gioia.) To see such a young, talented and articulate follower of the Lord Jesus serving as a prudent spokesperson for our nations cultural health is a glory itself. As great as Mako’s refractions may be—in his writing and his gold-drenched Nihonga panels— he is also known for his considerable ministry among artists, patiently befriending and networking painters, jazz musicians, donors, critics, film-makers, mentors, gallery owners, marketing executives and advertisers, models, actors, writers, dancers, sculptors, docents, and such, creating a movement of Christ-followers of all sorts (and others, too) working under the audacious banner of IAM. It was the annual IAM Encounter 09 that called us to New York in yet another rented van commandeered by our midnight driver, Scott Calgaro. We set up a large, large display of authors and musicians speaking or playing at the event, books on aesthetics, literature and poetry, culture-affirming theology, wise art history, and a ton of actual art books, including many of working contemporary Christian artists. (For instance, do you know the UK publisher Piquant Press? They have lovingly republished the multi-volume, expensive Complete Works of Hans Rookmaaker now in a $50 CD-ROM! We had nearly all of their books–from Betty Spackman’s esteemed—if a bit unusual—and much-discussed A Profound Weakness: Christian and Kitsch, to various coffee table works by Anneke Kaai, and more—about which I will write more, soon.) It wasn’t an easy load-in or set up on the 18th floor of a Manhattan high-rise, but it was truly one of the more interesting events we’ve ever served. Getting to feature our huge selection of book on the relationship of faith and art, media studies, pop culture, writing, philosophical aesthetics, music, and art books was a thrill. Having all these creative types from all over the country as customers was even more so. Or, as the Visa card ad says, Priceless. His Art in Action: Toward a Christian Aesthetic (Eerdmans; $25.00) is considered a classic among those interested in distinctively Christian aesthetic theory, and served the IAM event as the conference theme. In fact, it was none other than Calvin Seerveld (A Christian Critique of Art and Literature, Rainbows for the Fallen World, Bearing Fresh Olive Leaves, Being Human) who was chosen to first review it when it was initially released in 1980, I believe. (Nic returned the favor, turning in a cautiously rave review of his old friend Seerveld’s own Calvinistic, worldviewish, book on the need for aesthetic richness and responsibility in God’s good world.) This generation of Christian artists and writers affirm the significance of Dr. Wolterstorff, the logical and teacherly philosophy Prof., and the more colorful, Bible-preaching aesthetician, Calvin Seerveld. Their names pepper the footnotes of writers such as Mako, Lambert Zuidevaart, Michael Card, Steve Turner, Adrienne Chaplin, Ned Bustard, Luci Shaw, Albert Pedulla, Bruce Hermann, Bill Romanowski, Ena Heller, Steve Scott, Jeremy Begbie. Dr. Wolterstorff remained at the IAM Encounter (some famous speakers fly in and quickly depart events like this) and it was an joy to see him chatting with the participants, young and old, working artists and culture reformers, serious fans and those who had never heard of him before. ck of a supporter of the arts himself, citing Walker Percy and Bono and Seerveld and the novels of Wendell Berry and the poetry of Steve Turner by memory. It is always a good day when we get to tell folks about how important Fabric of Faithfulness: Weaving Together Belief and Behavior (IVP; $18) is to us. (Planes Trains and Automobiles) and television, and has written for Seinfeld, SNL and My Name Is Earl. She was raised Pentecostal, joined the comedy sub-culture, and is a working gal using her chops to make people laugh. 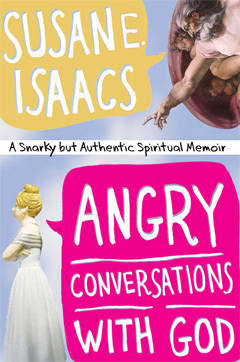 We were the very first place in the country to snag her not-yet-released (as of late February) memoir Angry Conversations With God: A Snarky But Authentic Spiritual Memoir (Faithwords; $24.00) and now that it is officially out, we promise to review it in earnest, soon. The word the press review used—cheeky— does indeed capture this crazy lady’s style—and she rocked the big house at IAM. As you might imagine, it will be a blessing (I say this seriously) for the often de-churched and spiritually marginalized creative types to hear her honest story, her journey of faith, her endurance in a pretty rocky world of performance, travel, fear, fame, and foibles. She sometimes writes for the Burnside Collective, so you may know she is a thoughtful woman, rooted in a community of open-minded, big-hearted wordsmiths. 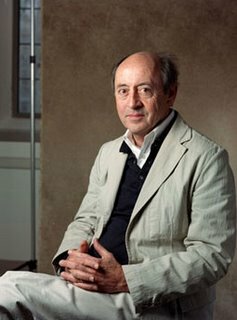 Speaking of big-hearted wordsmiths, one of the most celebrated poets of our time—the former Poet Laureate of the United States, Mr. Billy Collins, read from his various works. What an honor to be a part of a gig like this! (And how great to think that people of historic Christian faith have the wherewithal to pull it off!) Of course, we had all of Mr. Collins’ volumes (Sailing Alone Around the Room, The Trouble with Poetry, Questions About Angels, etc. etc.) but naturally stacked up his new one, Ballistics (Random House; $24.00.) I just love The New Yorker when they write that Collins is “A poet of plentitude, irony, and Augustinian grace.” Entertainment Weekly writes that he “spins gold from the dross of quotidian suburban life…” Gotta love that, eh? What a joy it was, too, to be able to feature the 20th anniversary issue of Image: A Journal of the Arts and Religion, a classy arts and literary quarterly of great note. Drawing broadly from faith-inspired artists, writers, poets, short-story writers and pop musicians, Image–dreamed up, legend has it, in part, by popular poet and evangelical writer Luci Shaw—has illustrated this integration of faith and cultural writing as well as any institution in the past generation. Where else might one read, say, an interview with T-Bone Burnett, a scholarly piece on Flannery O’Connor, wood-cuts by Barry Moser, previously unpublished poetry by Scott Cairns, wonderfully-reproduced full color plates of the work of Sandra Bowden, a short story by an unknown lit prof, a poem by a cloistered nun, and long, serious essays by art critics fluent in Protestant, Catholic and Orthodox spirituality? From Ron Hanson to Wendell Berry to Brent Lott to Annie Dillard, luminous and important writers grace their pages. Their splendid 20th anniversary issue includes, by the way, a lengthy interview with Mako Fujimura about his own artwork, and his IAM mission. Please visit their website—it will make your mouth drop open. Subscribe to their blog, here: Even if one does not believe with Dostoevsky and Day, that “beauty will save the world”, you know it sure can help. Showing off Image at jsut $10 an issue at IAM sure made it feel that way. We still have some back issues available, so let us know if you’d want to purchase any. Intruding Upon the Timeless takes its title from a phrase of Flannery O’Connor. That’s apt, because not since O’Connor’s Mystery and Manners has there been such bracing insight on the pile-up where art and faith collide. This book will rev your engines and propel you down the same road. So, we repacked, boxed up, loaded out–thanks, again, to IAM volunteers, the aforementioned S.C. and the NY union guys—propelling ourselves down that same snowy road back to PA, full of timelessness ourselves, for having been at IAM, selling these kinds of books to folks who care. And now the harder job: we wonder how to let our readership, customers and friends in on our remarkable time, this glimmer of God’s beauty, truth, grace, glory, service, reform, kindness, care, excellence and all manner of goodness that we experienced in New York. What else to do but tell ya about it (thanks for reading) and to offer a sale on some books from the IAM book display. I hope that isn’t anti-climatic. It is what we do, after all. Want to see a description of some of the other books we featured at the IAM arts conference? For our recommendations, SEE OUR MARCH 09 monthly review article at the Hearts & Minds website, HERE. Feel free to spread the word to others who might find such a list helpful In the meantime, buy Mako’s fabulous essays for $5.00 off, and get a good deal on any of these others, too. wow, Byron, what a great list of books and appreciate your comments…very insightful. The Mako book looks wonderful-have gotten on his website feed recently. And of course, the Square Halo books are truly excellent fare for the artistically inclined soul. Wow. Missed this earlier. I love Billy Collins. I asked Al Plantinga to read “The Art of Drowning” during a service in Lent.